According to a Washington Post article, the US unemployment rate is at its lowest point in ten years. And, employers have added several thousand jobs. Want more specifics? Try 211,000 jobs to be exact. This shows we’re at an employee-focused time, where we have the resources and the means to recruit several high potential employees. 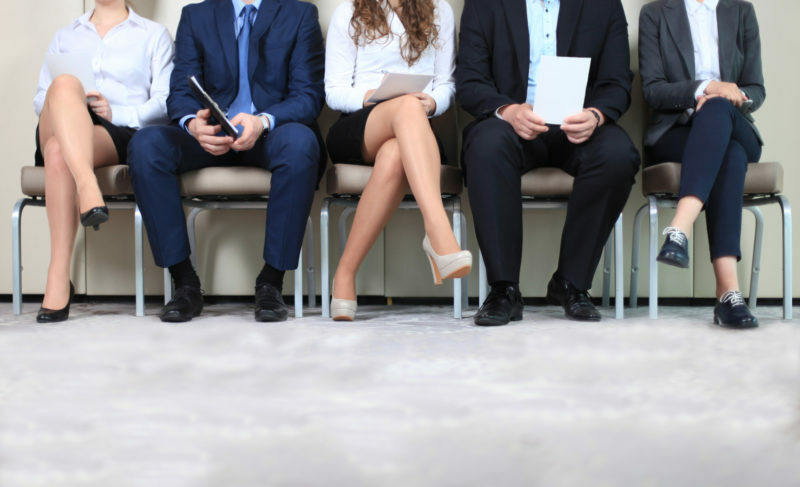 Now is the perfect time for job recruiters to hone their recruitment and selection process. Especially given that 20.5 million students are attending American universities and colleges (which is a 5.2 million increase since 2000). And it’s safe to say this figure will continue to rise. Our workforce pool is becoming more saturated with well-educated and well-trained prospective employees. It’s time we use this to our advantage. Read on to learn how you can do that. What’s a high potential employee? According to a Harvard Business Review article, a high potential employee (or in their words, a high potential leader) is someone who outperforms everyone else in a number of areas. They achieve these feats all while preserving their company’s values. It’s all about strong, credible results: High potential employees turn their words into credible action after credible action. If an extensive report needs to be addressed and written up, the high potential employee will volunteer to write it…time and again. Wants to and does increase his or her expertise: High potential employees don’t shy away from learning new tasks. If he or she is in the accounts payable division, they’ll take accounting classes and ask questions to learn as much as he or she can about finance. It matters because these types of employees are few and far between. You need to know the right place to look in order to spot them and be the first to recruit them. Your standard social media avenues, such as LinkedIn and Facebook, may not be a great addition to your recruitment and selection process. The reason being is that they’re overused. Plus, especially with LinkedIn, you’re not able to scrape accounts. Which ends up adding up to more time and a bigger hassle than it needs to be. That being said, here are some of the spots you’ll find excelling job candidates. As mentioned earlier, your standard social media avenues are more than likely a dead end. Or you’ll be spending a significant amount of time on something that doesn’t need to be. So, check out places such as GitHub, Toptal, Dribble, and Masterbranch. These places not only let you talk with prospective job candidates but check out the work they’re currently doing. You can do this two ways: You can set up a booth, and have prospective employees come to you. Or you don’t set up a booth. In which case, you interact with the other guests (job candidates) that came to the conference. Know that some high-level candidates may come to your booth but others may not. To get as many high-level candidates as possible, boost your recruitment and selection process by doing both. High-achieving job candidates will attend theses. As seminars are a great way to expand your expertise—remember what we said about high potential employees wanting to increase their expertise? There’s normally an intermission or some conversing time before and after the seminar. This time is crucial to approach potential candidates and give them your business card. Since, most of the time, you’re not going to be talking with the candidate for an extensive amount of time (unlike a job fair per se), keep the interaction short and sweet. Again, this is another magnet for high potential leaders. Since workshops attract those who want to learn another skill set. Like seminars, this is a place that will definitely attract recent graduates who are in search of a job. Job fairs are a great way to attract students who are about to graduate. Since these fairs go on for several hours, you have the luxury to talk with interested students in depth about what the company does. And the benefits that pertain to the job. It’s also convenient since those who attend the job fair will bring their resume. Which saves you more time. Since you can quickly scan it to see if they’d be a good fit for the position. Or if they could benefit from more experience. Here are two of the most common job boards. Such job board sites include Monster, Uptapt, Careerleaf, Snagajob, and Indeed. Basically, they’re a platform for you to get your job posting out to a larger audience. Since, according to a Time article, 3.2 billion people us the Internet, you can rest assured knowing several (hundred, even thousand) people will see your job posting. And many will respond to it. Places that have your typical job board include the library, city hall, college and high school campuses, and coffee shops. Do you remember as a student receiving packets from colleges, which would advertise so-and-so college and why you should attend? Well, they were trying to recruit you. And, chances are, you may have ended up going to one of them. Why not replicate this system? And create and send company recruiting packets to seniors who are on the cusp of graduating college. You can even extend this to seasoned professionals you’ve checked out and are interested in recruiting. At the least, it will be taken as a compliment. At the most, you’ll get a call or an email back expressing interest. Which will only widen your selection pool. So, keep this go-to in your recruitment and selection process arsenal. Streamlining your recruitment and selection process saves you (and your job candidates’) time. Use streamlining tools such as Trello and Zoom to organize the process. Some offline options include mapping out a step-by-step recruitment and selection process. Such as first creating the recruitment packets. Then, distributing them via job fair, seminars, workshops, you name it. And so forth. Eventually, when it becomes very streamlined, you can have an assistant or intern do some of the tasks for you like putting the packets together, ordering more business cards before a job fair, etc. Here are some things you need to stay away from when recruiting job candidates. It doesn’t matter what industry you’re in—these are a no-go, and can even decrease your selection pool. Most people (potential job candidates included) can smell this a mile away. Using all-or-nothing statements such as “Entry level employees never have to wait more than a year before they’re promoted.” The danger of saying all-or-nothing statements is that candidates could hold you to your word. Not delivering will strip your company’s credibility. Pressuring potential candidates to take a business card or recruitment packet when they’ve expressed that they’ll “think about it” (aka they aren’t interested). Raising your voice or expressing annoyance when a candidate mentions they’ve checked out your competitor. Saying inaccurate statements to win the candidate over. This will end up backfiring later, as the company could experience a higher turnover rate because of this. In general, people (including job candidates) are attracted to authenticity. And it’s easy to tell when someone is being genuine—and when someone isn’t. Give compliments only if they’re warranted. Smile and say a thank you if they express disinterest. Using these tips should help your company maximize their selection pool. Which means a better chance of finding those high potential employees. For more information about the recruitment and selection process, check out our articles.